Stuart and Allison made their annual trek out to the cabin in October 2007. Stuart experienced a little road sickness (What? Are there curves on this drive dude?). We had a great time--as always. 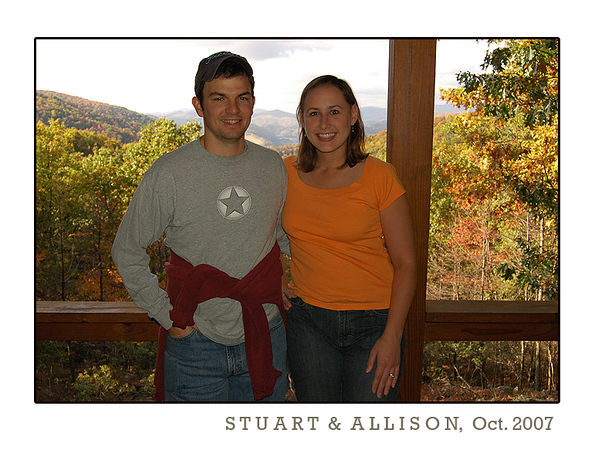 Congrats to Stu and Allison--they are expecting their first child in July 2008.